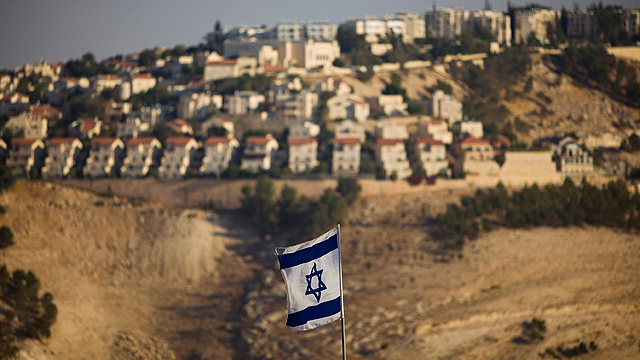 Housing Minister, who published settlement construction tenders cited by Abbas for dooming talks, sees 50 percent increase in West Bank's Jewish population by 2019. The number of Jewish settlers in the West Bank could grow by as much as 50 percent by 2019, Israel's ultra-nationalist construction minister Uri Ariel said on Friday. Palestinians want the West Bank as part of their future state and blamed settlement expansions for the breakdown last month of US-mediated peace talks with Israel – a position supported in part by Washington, but rejected by the Israelis. Construction and Housing Minister Uri Ariel, a member of the hard-line Bayit Yehudi party in Prime Minister Benjamin Netanyahu's conservative coalition government, said the negotiations on Palestinian statehood were in their "dying throes" and predicted the settler population would spiral. "I think that in five years there will be 550,000 or 600,000 Jews in Judea and Samaria, rather than 400,000 (now)," he told Tel Aviv radio station 102 FM, using a biblical term for the West Bank, which many Israelis see as a religious birthright and security bulwark. Ariel put the number of Israelis in East Jerusalem at between 300,000 and 350,000. Some 2.5 million Palestinians live in the West Bank and East Jerusalem, areas which, along with the Gaza Strip, Israel captured in the 1967 Six Days War. During the nine months of failed peacemaking, Ariel published tenders for settlement construction which were cited by the United States as having contributed to the impasse by convincing Palestinian Authority President Mahmoud Abbas that Netanyahu was not serious about reaching an accord. US officials have also faulted Abbas for unilaterally signing 15 conventions meant to advance Palestinian independence and for entering a unity pact with Islamist Hamas rivals who control Gaza and spurn coexistence with the Jewish state. Netanyahu has said he would be willing to make way for a future Palestine in the West Bank, though Israel wants to annex swathes of settlements and keep East Jerusalem. Bayit Yehudi opposes Palestinian statehood altogether, raising speculation in Israel that Netanyahu, in the unlikely event of a diplomatic breakthrough, would eject the party from his coalition. Hosting US Secretary of Defense Chuck Hagel in Jerusalem on Friday, Netanyahu put the onus for the deadlock on Abbas. "One of the things we have found, unfortunately, is that our Palestinian neighbors are moving ahead in a pact with Hamas. The United States has designated Hamas rightly as a terrorist organization," he said. "I think the Palestinians have to make a simple choice – a pact with Hamas, or peace with Israel. But they cannot have both."